When landscaping a front yard, consider your surroundings. If you live on a busy street, several landscaping ideas exist to create privacy for your family. 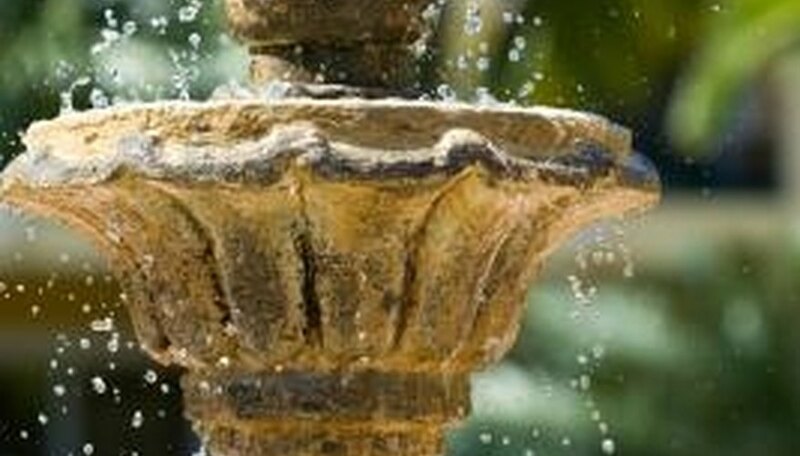 Street noise and passersby may come with the territory, but a thoughtful combination of plants, fencing and a fountain will restore a sense of calm to your front yard and mask some of the noise. Create a landscape design plan for your front yard. Drawing out ideas will help you visualize how various landscaping elements will work together. Mark existing features like trees, the driveway and front entryway on the plan. Get an outsider's perspective of your front yard. Stand in front of your house and consider the impression you want people to have as they pass by. Do you want to completely block the public's view of your front yard for a privacy and sound barrier, while still making guests feel welcome? Or, would you prefer to focus on making your front yard part of the street's scenery? Add a fence to establish a clear property line and visual boundary. The fence will help keep animals from your yard and protect any lawn accessories you may want to add. Fences come in a variety of designs, and can help tie in your home with the overall aesthetic of the street. Create an attractive living wall to add greenery to the street while blocking some of the sounds from traffic and people. Ornamental grass, flowering vines or English ivy along the fence ease the transition from a busy street to a quiet front yard. Assess the condition of your front walkway. A nice front walkway welcomes guests as they leave the chaos of a busy street behind. Pavers, gravel and bricks are a few types of hardscape materials to sculpt a front walkway that suits the contours of your yard. Line your walkway with flower beds to attract hummingbirds and butterflies. Hang nectar feeders and combine plants of different heights, colors and textures to create a fragrant, active environment. Edge your flower beds and walkway with bricks, stone or pavers. Edging adds style to landscaping and defines the shapes and clean lines of plant beds to make your flowers stand out. Cover flower beds with mulch to prevent weeds and help plants thrive. Choose a front yard accessory to emphasize the strongest features of your front yard. A bench beneath a shady tree or a small fountain will help you enjoy your space. The sounds of car horns, passing conversations, doors slamming and other exterior distractions will fade into the background as the comforts of running water, fluttering butterflies and blooming roses make you feel at home.